It is a very exciting time when your child begins to develop their language skills. What a positive experience for a parent to hear their child express themselves. Typically a child will continue to gain control over their tongue, lips and jaw movements, making their speech clearer and easier to understand. 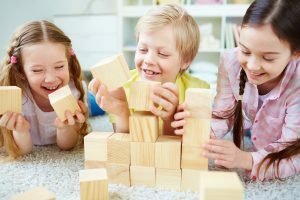 When improvements are not seen, one reason may be due to Childhood Apraxia of Speech (CAS), which is difficulty planning and producing muscle movements. Typically as children age, they improve at knowing what they want to say and finding the words to express their thoughts. For a child with CAS, they too know what they want to say but struggle with coordinating the necessary muscle movements to make their sounds. Difficulties can be notice as early as 12 months, as children with CAS will show a delay in the use of their first words. By two years old, incorrect vowel and consonant sounds are heard, and as they age, difficulties saying the right syllables in the right part of a word (such as tufferby instead of butterfly) may be frequently heard. One of the most notable symptoms of Childhood Apraxia is that the child has trouble putting sounds and syllables together in the correct order to form words or sentences. In addition, each attempt might lead to a different sounding word (butterfly becoming tufferby, fufferty, butterby, etc). The stress of individual syllables might also be affected, changing the meaning of a word completely (such as “a blackboard” versus “a black board”). The symptoms of Childhood Apraxia can range from mild to severe. A mild case will impact a child’s intelligibility (ability to be understood) to their friends and adults. Children might be asked to repeat specific words that weren’t said correctly. A severe case would make it extremely difficult for a child to communicate their thoughts, potentially leading to frustration and giving up. To correct Childhood Apraxia, a trainer professional such as a Speech-Language Pathologist will use different treatment approaches. The focus of therapy is to improve the coordination and sequencing of the muscle movements for speech. These are not exercises designed to strengthen the muscles, but to improve the accuracy of their movements for the production of sound. Often the speech muscles may need to be “retrained” to produce sounds correctly. For this, therapy exercises specialized to a child’s needs will be designed. Support and encouragement from family members and friends is also important for the child to fully benefit from treatment. There is nothing more motivating than when your child can communicate effectively with you.